In today’s world it is hard to maintain a gorgeous white smile with daily lifestyle habits. These habits include anything from drinking coffee to smoking. Even as we get older our teeth naturally start to become discolored. This is why it is so important to choose a good teeth whitening product. DaVinci makes the best organic teeth whitening products on the market. There teeth whitening product has the ability to get real results without damaging your teeth. 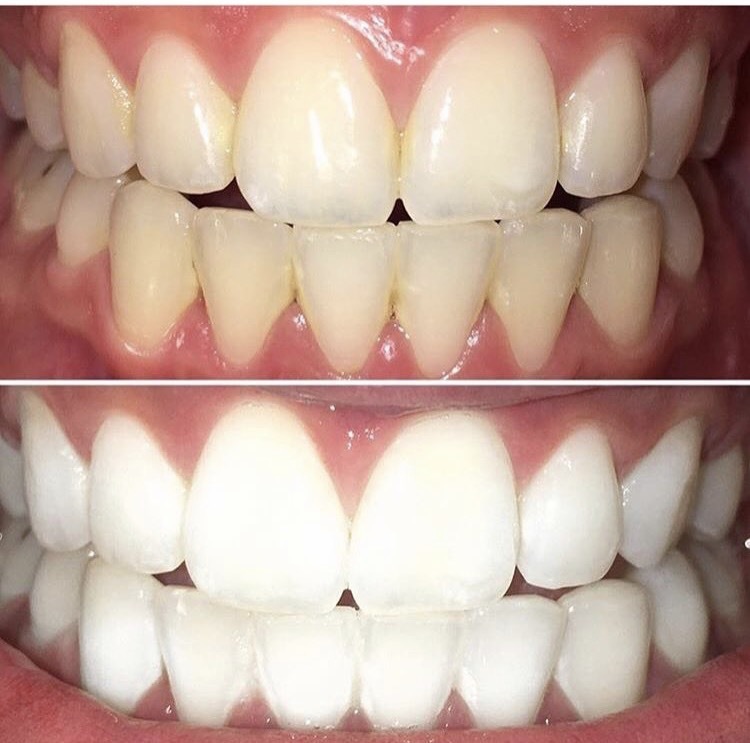 Their teeth whitening products have a unique formula that can get results of 20 shades whiter teeth. I have personally seen clients get these results in just one 60 minute session! Another great thing about DaVinci teeth whitening products is that it is safe on all teeth including dental work. In regards to dental work though it is important to remember that you cannot whiten beyond the original color of the dental work. Though even dental work such as veneers get stains just like regular teeth. We also love the fact that DaVinci does not use harsh chemicals like over the counter teeth whitening products. DaVinci teeth whitening gels are made using the highest quality USA organic, plant and mineral based ingredients. The last thing you want is some weird ingredients to be consumed or ingested. The active ingredient in our gel is a food grade Hydrogen Peroxide and contains three key minerals to stabilize and strengthen the enamel. Also, DaVinci teeth whitening products are manufactured here directly in the United States and are made fresh each week. DaVinci teeth whitening products have been proven to whiten as well or better than other dental whiteners. It does all this without the level of sensitivity and side effects that other whiteners can deliver. Instant Beauty Spa is proud to use DaVinci teeth whitening products at are salon!